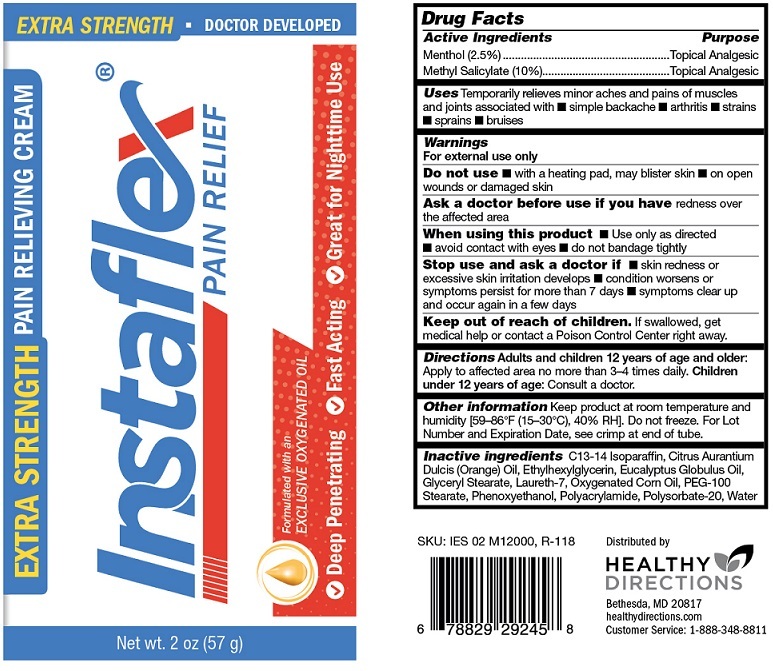 Proprietary Name: Instaflex Extra Strength Pain Relief Cream What is the Proprietary Name? 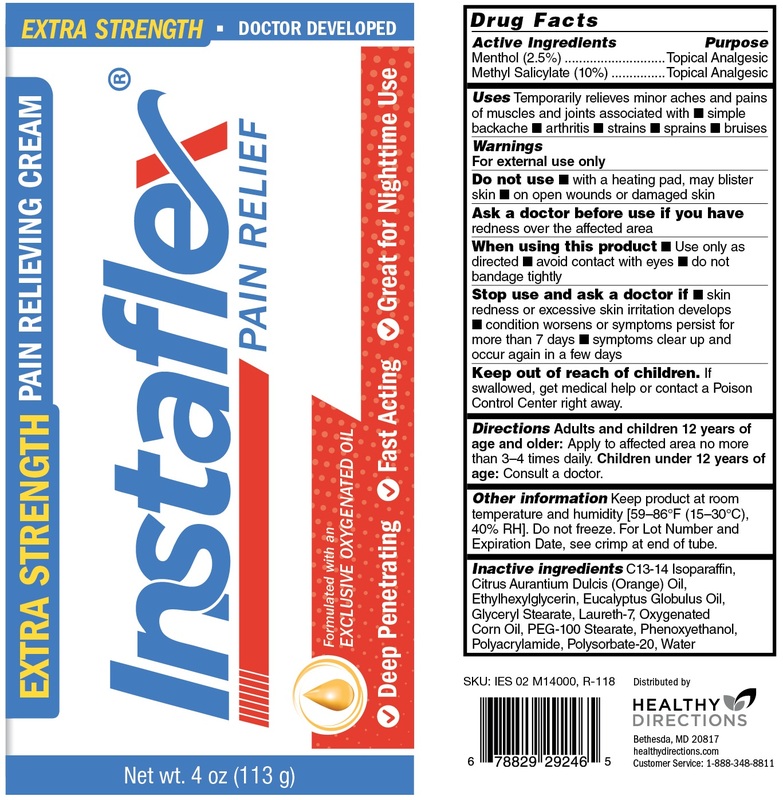 Non-Proprietary Name: Menthol, Methyl Salicylate What is the Non-Proprietary Name? 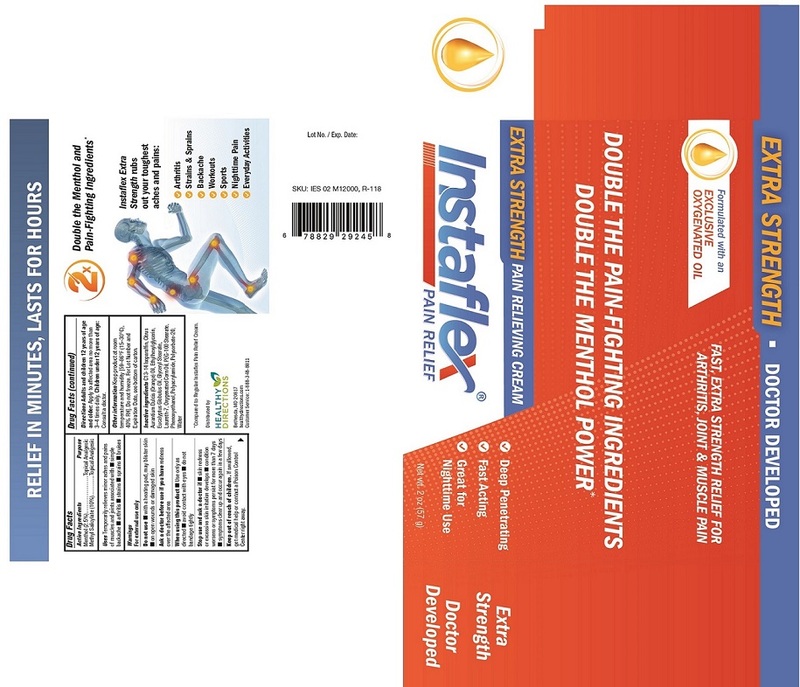 Instaflex Extra Strength Pain Relief Cream with NDC 70015-660 is a a human over the counter drug product labeled by Healthy Directions, Llc. 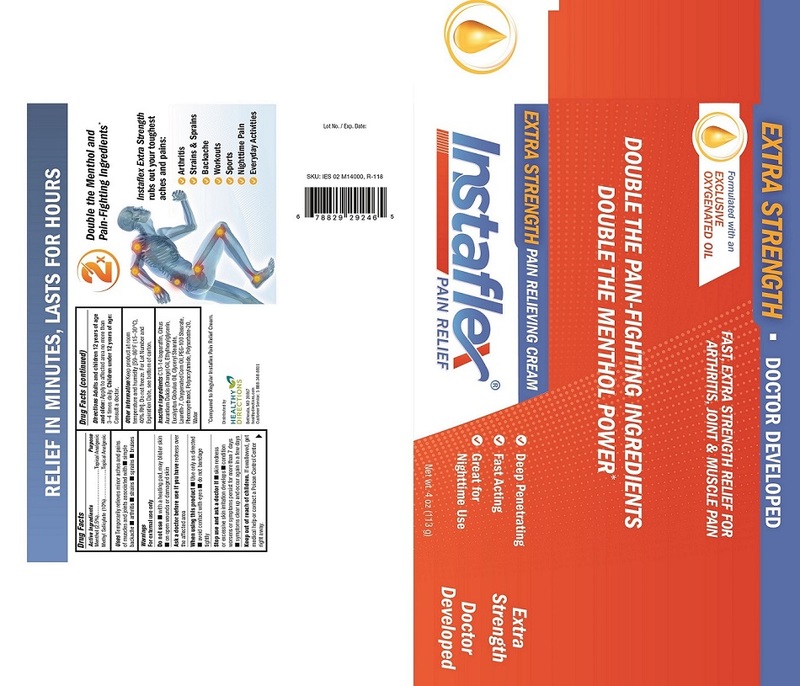 The generic name of Instaflex Extra Strength Pain Relief Cream is menthol, methyl salicylate. The product's dosage form is cream and is administered via topical form. Dosage Form: Cream - An emulsion, semisolid3 dosage form, usually containing > 20% water and volatiles5 and/or < 50% hydrocarbons, waxes, or polyols as the vehicle. This dosage form is generally for external application to the skin or mucous membranes. FDA Application Number: part348 What is the FDA Application Number? Directions Adults and children 12 years of age and older: Apply to affected area no more than 3-4 times daily. Children under 12 years of age: Consult a doctor. Other Information Keep product at room termperature andhumidity [59-86°F (15-30°C), 40% RH]. Do not freeze. For LotNumber and Expiration Date, see crimp at end of tube.